Update: The Bastyr performance has been moved to the COURTHOUSE SQUARE BALLROOM. Note date and time below. 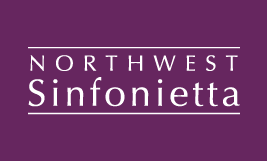 Northwest Sinfonietta is excited to add a matinee performance at the Courthouse Square Ballroom for this Baroque-based program with Sinfonietta soloists Denise Dillenbeck and Darrin Thaves, and music by J.S. Bach, C.P.E. Bach, Gluck, and Tchaikovsky.